Okay. So, I've got another super easy project for all of ya. This doesn't take a whole lot of time and you'll feel like a fashionista (slash) domestic goddess. Not only will your cash be stored in style, you can now claim your stake to crafty fame by telling everyone you made it yourself. I love being able to tell people that. I call this the Easy Peezy Folded Wallet and this can be made in about thirty minutes. I'm sure you'll want to keep this once it's finished, but it would certainly make a great gift, too! ***To print out the pattern pieces, right click the image, save to your desktop and print onto an 8.5"x11" piece of paper. Cut the exterior from a cotton-twill kind of fabric. Cut the interior out of wool felt. Cut the credit card pocket out of cotton-twill and the cash pocket out of felt. 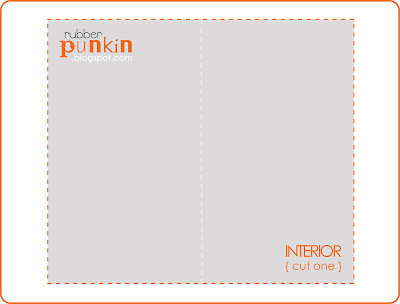 Be sure to cut the pockets on the fold as indicated on the pattern. Take your exterior piece of fabric and fold each side inward. Iron flat. Fold the credit card pocket piece in half and fold the sides with rough edges inward. Iron flat. Take the pattern for the credit card pockets and mark where the dotted white line indicates. I like to use THIS TOOL to mark lines. You can use it like a rotary cutter against a ruler and it makes your lines perfectly straight. Plus, unlike a marking pencil, it doesn't wrinkle your fabric as it draws. Fold the felt cash pocket in half and iron flat. Stack the fabric credit card pocket on top of the cash pocket. Sew along the lines you marked in the previous step, attaching the credit card pocket to the cash pocket. Next, lay the pockets on top of the felt interior piece. You should have four layers. The credit card pocket, the cash pocket, the felt interior, and the fabric exterior. Stack the layers in that exact order, being sure the lines match up perfectly around the edge. All of the fabric pieces should have their rough edges folded inward. All of the felt edges are left rough. That's the beautiful thing about wool felt! Sew around the very edge of the rectangle, adhering each layer to each other. Fold the flap over the credit card pocket and iron in place. Starch is pretty handy in this step to make the crease nice and crisp. Now you have a nice little home for your moolaw. Plus, it just makes me happy looking at it, knowing it only took thirty minutes. Beautiful. Beautiful! I love how simple it is. You never cease to amaze me. You are so generous to give away the the pattern like that. I can't wait to try it! Great pattern! I've always wanted a wallet to match/coordinate with my purse but I can never find one. Problem solved! okay, I can do this. Still working on getting on good terms with my machine. I can't wait to try this one!!! Thanks for the pattern! Oh oh oh... so cute!! This will be an awesome gifty for friends! em your the very best! i love everything you are sharing! keep em coming! So cute! Just found your blog and already have a list of things I NEED to do :) Any chance this same wallet could work as a checkbook cover? Made it, love it! Thanks for the pattern! YAY! So glad you had a fun time making this, sarahmcb! Send me pictures and I'll post them! That does look super easy! It would make a great gift! I'll be making some of these! Thanks! Stop by and visit me sometime! Altered some little things here and there. This does look easy enough for even me! I am about to make another purse...and want to make a wallet to go with it with the same fabrics. Do you think I could use cotton with interfacing instead of the felt? I don't have have any quality felt. Cute! I'm gonna try this! Great tutorial. I altered it a little to make a men's trifold for my son. Hope he likes it. Awesome! 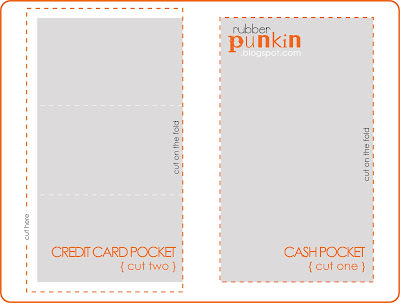 This is so cool-I just printed the pattern pieces to make one and I have a question-you say to cut two credit card pocket pieces, but then you mention just using one and folding that in half. That doesn't seem to make sense to me, because if you fold it in half lengthwise its way too short. Could you clarify this for me? I have a question. The pattern pieces did not save very large, so how do you make them the size for a wallet? I right clicked on the patterns, but they copied way too small. What are the correct measurements of all the pieces?? Thanks! Does anyone happen to have the measurements for all the pattern pieces? Mine didn't print correctly. I've made two wallets, using your pattern, and am working on a third. Thank you so much. Can I possibly get the dimensions of the pattern pieces. for some reason no matter what I do I cant get it to scale correctly.